View of an old canal. 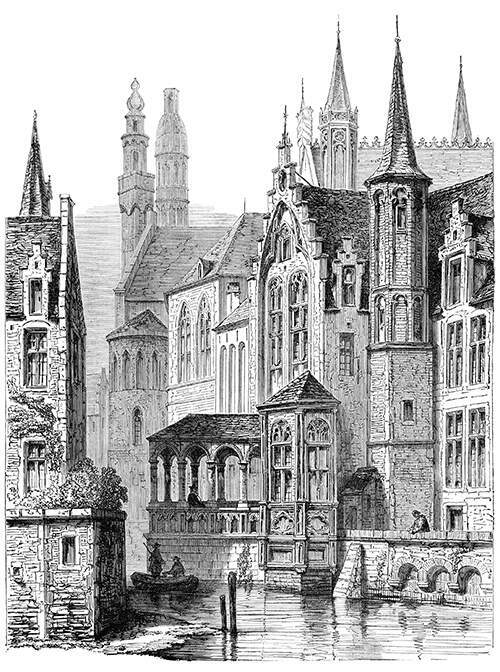 View of a narrow canal overlooked by tall medieval buildings with turrets and spires. The caption reads in the original French: Vue d’un ancien canal.